Bogong was founded in 1989 by outdoor enthusiasts for outdoor enthusiasts. Owner Neil Blundy is a passionate bushwalker who has walked extensively in Australia and abroad. 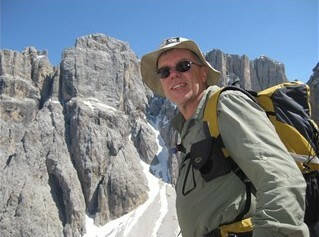 See his extensive list of blogs on hiking in Europe. All our staff are outdoors people. We are climbers, walkers, skiers, mountaineers, mountain bikers, mountain runners and outdoor guides. We love to share our passion with you, our customers, and make sure that you have the right gear for your adventure. the best gear for your adventures. We have what you need! Whether you're going on a weekend hike to the Prom or are climbing Mt Everest. Bogong is and always has been a fully independent store. We carefully choose the best equipment that is right for the job. We will not be pushing "house" brands down your throat which invariably cut corners and are made to a price. As active users we have a vast store of knowledge about outdoor equipment. Bogong was originally based in a small store in Hardware Street in what is now Melbourne's leading cafe belt. In 1993 we moved around the corner to our current address in Little Bourke Street. Other outdoor stores gathered around us in what has become the outdoor precinct. Originally based on the ground and 5th floors at our current address - (who will forget the rickety hand operated lift that took you on the journey to the 5th floor?) - we now have an integrated store over the ground and 1st floors. Only Bogong has remained true to the concept of offering a full range of technical equipment for climbers, bushwalkers, trekkers and people climbing the great peaks of the world. In 2011 we launched our online store. In mid 2012 this was relaunched with a new more user friendly interface. Remember this store is totally backed by the resources of our physical business in Little Bourke Street. We encourage you to contact us to make use of our knowledge to help you make a purchase. We carry a massive stock holding on hand at all times. If it's on the webstore it's in stock - we have a huge store room upstairs!